PPC advertising provides you with an opportunity to increase the traffic to your landing pages, improves lead generation and sales. PPC advertisements position you in the top of the search engines in eyes of the people who are searching for your products and services. Pay-per-click (PPC) ads are widely seen as the popular form of advertising. In PPC advertisements, you will set a budget and place an ad. When someone clicks on your ad, it takes them to your landing page where you can have call-to-action, any messages or any other means of conversion. You will only pay when someone clicks on your ad. Though the concept is simple, to create effective clickable ads with brings in more conversion, there is a lot of research that goes into the background. Due to the high competitions in the market, it has become difficult to rank for the appropriate keywords for your businesses. This makes it difficult to even get your services in front of the potential customers. This is where a PPC Management service comes in. Our expert team at 7 Stones Digital is highly qualified to handle your PPC advertisements effectively. We strategize our PPC campaigns towards achieving your business goals. You need not know what the terms views, impressions, CTR or any other metrics are. We analyze the metrics and let you see the results in your terms: leads, conversions and sales, thereby increasing your ROI. We offer PPC services in Chennai and in other major cities of India. Our PPC costs are competitive in the Indian market, offering the best of services to maximize the reach of your Online Marketing according to the demographics, industry and the audience. Why do you need 7 Stones Digital PPC Management Services? As one of the leading Search Engine Marketing (SEM) companies in Chennai, we provide the best services for PPC advertisements. With our team of experts, we will deliver better ROI and help you in increasing your customer base. Based out of Chennai, 7 Stones Digital will help you achieve your business goals efficiently in the competitive field of internet marketing. Google, being the number one search engine in the world, is the biggest platform to reach a wider network of audience. Since Google places your ads in the prominent places, it is the best way to test your SEO strategy and optimize your keywords and ad campaigns. Since Google Adwords are highly competitive as a majority of internet marketing strategies are implemented through it, Bing is often overlooked. Bing constitutes around 3 billion search results each month thus providing an opportunity to get before your audience more effectively. By leveraging the neglect of many businesses in using Bing, we can generate high conversion rates by using better ads optimization. Social media ads differ from one platform to another. From Facebook, YouTube, Instagram, LinkedIn to Twitter, each and every social media platform requires a different approach and optimization strategies which lines in with the behavior of the audience. Our PPC team will advertise mainly in the news feed section of all social media platforms according to your target audience, urging them to like, comment, share or take action according to the platform’s nature. This will also increase the social media followers in your business page after which that audience will become a part of your organic reach for future purposes. Not many users directly click on the ad when they see it for the first time. This is when remarketing comes in. Audience requires better convincing coupled with familiarity to enable them to click and land on your page. We make sure that your ads are frequently displayed in front of your target audience and with the right copy and design, the campaign will result in more leads and sales. In cases where penalties are applied, we analyze the content of the website to find the reasons for the penalties and offer suggestions to get back on the track. We look for low quality content, spammy links and user experience factors to guide you to recover from the penalty. We identify negative SEO that may have resulted in the penalty and recommend ways to correct it. 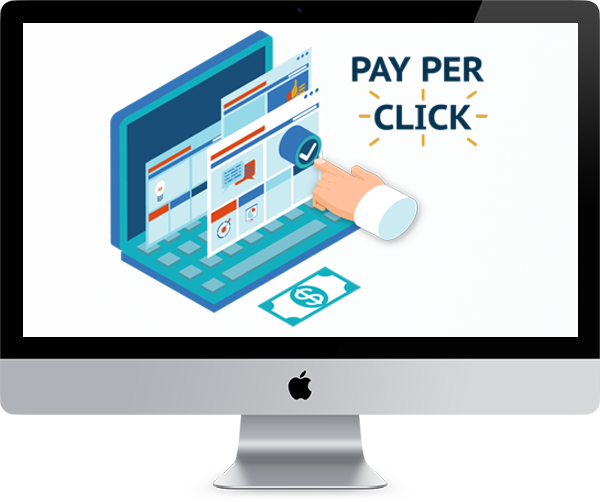 When you sign up to use our PPC Management Services, you will be assigned a PPC Manager who is the point-of-contact person and will be responsible for running and managing your ads. We streamline the process of your PPC campaigns for better ease of optimization. If you already have a current PPC account, we will evaluate the status of your account. This audit will help us understand and use the previous data to create better ad campaigns for your business. It will also shine light on the weak areas and aid us in leveraging the strong points from the data available. Keyword research is a crucial deciding factor in your ad campaigns. The right choice of keywords has to be selected to get the ad in front of your target audience.Our team will extensively analyze the industry your business is in and come up with low cost, low volume keywords (generally long tail keywords) which will generate more clicks, and combine it with high cost, high volume keywords (more competitive keywords) within your budget. We will bid for the keywords on your behalf, set up your campaign, goal tracking, and target audience group in addition to many other options for the smooth functioning of the campaign. While proper use of keyword gets your ad in front of the target audience, good copywriting enables the audience to click on it to get directed to the landing page. We will write persuasive, effective copy within the character limit to make it interesting and clickable for the audience.We can also guide you in creating effective content for your landing pages to improve your conversion rate. When running ad campaigns, our team will come up with multiple designs in various dimensions to place ads according to the relevancy. Once we have put up your ad, our job is not over. We analyze and optimize every ad campaign to make sure that every penny you have spent is worth it. We track the performance of the campaign, analyze the metrics, make suitable changes and strive to achieve your business goals within the budget.